Hey everyone, so I know I write a lot about jazz, but I need to talk about another great group that has proven to be highly influential and successful...None other than The Beatles. The Beatles are one of the most legendary groups of musicians ever. In addition to achieving massive commercial success, The Beatles have proven to be highly influential to multiple generations of people, and have attained a spot in the history of all music. I love every album The Beatles have released. Their songs are classics and have stood the test of time. You really can't say anything bad about The Beatles unless you're a hater, and if so...stop hating. You have to hear their albums on vinyl. They sound warm and beautiful and great. They sound better on vinyl...trust me. 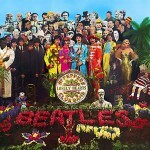 Jeez, just get it for the big cover art...Sgt Pepper just doesn't look as good on a CD. So, what are my top 3 Beatles albums?? 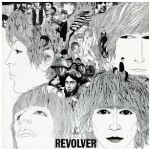 Revolver is a nice mix of old and new Beatles. It has some poppy songs, mixed with some rocking songs, and of course, the occasional slow song. This was one of the first albums that I ever purchased on vinyl, and this record has seen a lot of playing time. Definitely a great album from a great group of musicians. My favorite songs from the album are "Eleanor Rigby", "And Your Bird Can Sing" and "Tomorrow Never Knows". 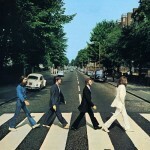 My next favorite album is Abbey Road. This is The Beatles at their most experimental and obscure, yet at the same time, their most imaginative and unique. Abbey Road is a great rock album by any metric. It's too difficult to pick favorite songs on this one just because they are all so good. From the mellow "Sun King" to the dynamic "You Never Give Me Your Money", all the way to the joy and happiness of "Octopus's Garden". I love Abbey Road! And now, my favorite Beatles album of them all...Sgt. Peppers Lonely Hearts Club Band. I know that many other people feel the same way that I do. Apparently Sgt. Pepper is the #1 greatest album of all time according to Rolling Stone. Sgt. Pepper was the first ever concept album. The concept was to perform an imaginary concert for all of the people on the cover of the album. The music is unique, yet still very Beatles-like. The album goes through many different moods, with the title track's rock sound, to the deep and sad "She's Leaving Home", to the joy of "With a Little Help From My Friends", to the album's fatalistic ending with "A Day in the Life". This is a great album, and belongs in everyone's collection. Seriously People: Enjoy the Music. For more Beatles Records, Vinyl & LPs, visit this link. I just added my record selection to the Top 100 Beatles site, and you can vote for my site at the link below. Also, there are tons of great Beatles sites out there, and many of them are listed at the Top 100 Beatles Sites. Check it out, you'll definitely find some good Beatles stuff. Those are great but how could you leave out Rubber Soul?? ; ) That’s one of my favorites as it really marks the beginning of their growth and transition into avant-garde / Groovy / Psychedelic experimentation and innovation. Also, there is a great difference in sound and sometimes song selections from the British EMI releases and the American Capitol ones, with the latter often being remixed in stereo. The British versions in mono, are truest to the original vision.